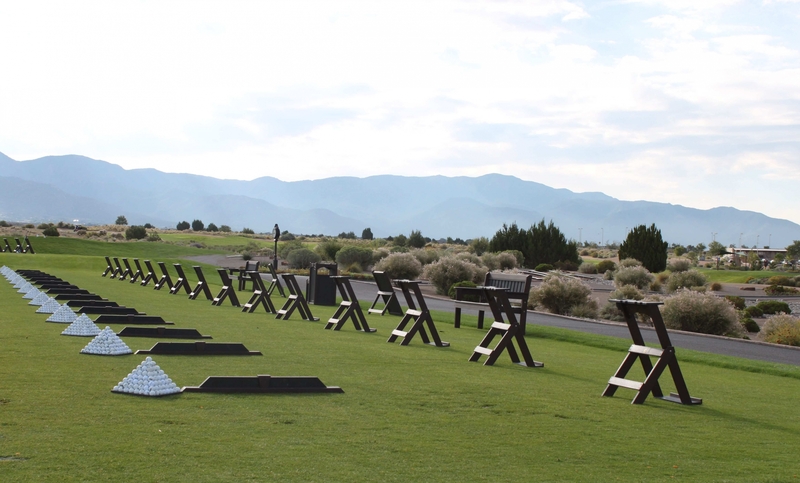 The practice faciltiy at Sandia Golf Club offers a double tiered teeing complex with all grass hitting stations. It also features a 10,000 square foot practice putting green and a short game area to sharpen those much needed skills. The cost is $25.00 and includes use of the facility all day. Use of the practice facility is included in your green fee when playing at Sandia Golf Club. Our dress code applies to the practice facility. Our PGA Professional staff has 40 years of teaching experience and helps to make Sandia Golf Club the perfect place to hone your golf skills. Whether you are a beginner or a scratch golfer our staff has the teaching skills, knowledge, and dedication to improve your golf game. 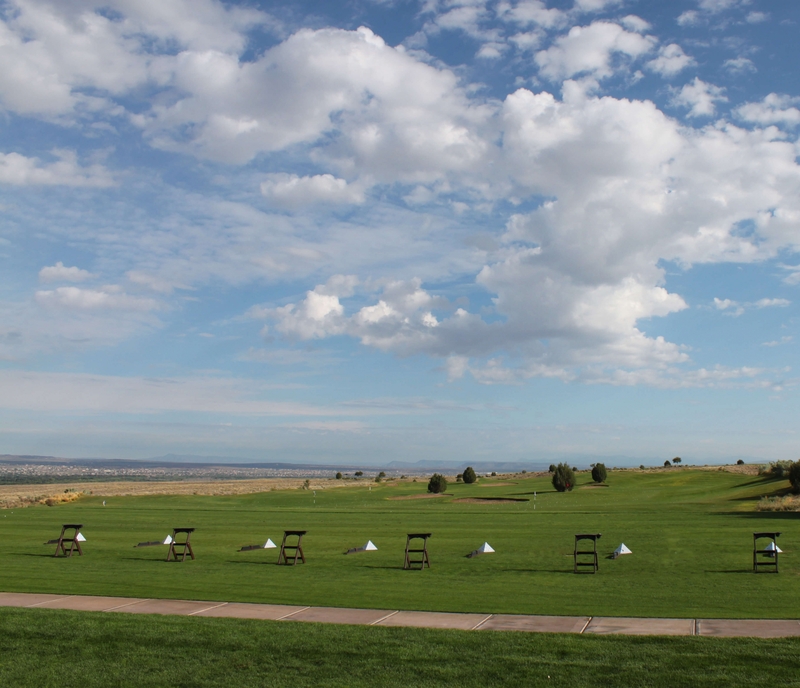 Sandia Golf Club offers individual lessons, corporate lessons, beginner golf clinics, and can create an instructional program for any individual, group or outing.